Ceremonies are celebrations that stand outside of time’s normal flow. so we may touch something essential in life. something powerful and profound is happening. David Oldfield in Louise Mahdi’s book “Crossroads”. Unless celebrants know and are convinced of the worth of ceremony, there is little point in their continuing with this study. be aware of the history of Ritual and Ceremony from primitive times to the present after studying a variety of ways in which people express themselves ritually and ceremonially in different cultures. understand the importance of history and tradition, and the equal importance of personalisation and flexibility. 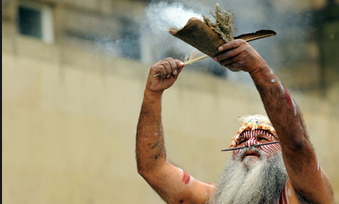 recognise the place of visual and performing arts in ceremony and ritual. understand how ceremonies signpost the culture and are measuring sticks of the humanity of the culture. see the importance of ceremony in everyone’s life including those with no religious beliefs of any kind. understand how society benefits from the development of better ceremonies. Why is this Module so necessary? The History, Nature and Development of Ceremony is a very deep and demanding subject, however, it is the basis for anyone aspiring to become a professional celebrant. Students gain an understanding, an inspiration and a motivation for this work. The student will gain knowledge of the insights of the marvellous researchers who have studied culture at this deep level as the module touches on the work of outstanding celebrants and writers such as Arnold van Gennep (The Rites of Passage), Mary Hancock, David Oldfield, Juliet Batten, Mircia Eliade, Margaret Meade, Joseph Campbell, Ronald Grimes, and Robert Fulford. It is also necessary to understand the historical evolution of secular ceremony in the Western World, and the struggles, as the profession emerges as a culturally enriching force for non-church people. On the practical side, our students are required to send in detailed and structured analysis of at least three ceremonies they have actually attended in person.We allow reports on recorded ceremonies only in extenuating circumstances. As all celebrants have their strong points and their blind spots careful analysis of all ceremonies raises the awareness to a very important level. The general public is very forgiving of even the most inept efforts. Observing ceremonies, presenting ceremonies, in the real or by simulation, becomes very essential to the learning process and helps remove the ineptness! Module 1 is about secular ceremony, which has rarely been analysed. In this Module we require you to look closely at secular ceremonies such as Graduations, Citizenship Ceremonies, or even the launching of ships and the opening of freeways! As the International College of Celebrancy considers this is a very basic study, we do not encourage people to apply for RPL – Recognition of Prior Learning –or RCC – Recognition of Current Competencies. There are very few courses which even go close to teaching the necessary topics. No matter how good a celebrant is, or how good they think they are, we know this Module contributes to professionalism. For this reason students need to be committed to a good grounding in this topic as an essential part of the full Diploma Course. Read our testimonials to the quality of our Training. LeoneAssessment tasks are on the last few pages of the module manual. All assessment tasks are carefully read, critiqued and assessed by our Dean of Studies, Dr Chris Watson. The time envisioned for working on each Module is equivalent to 10 weeks at 8 hours per week. The College has not set dates for submission of individual items. However, unless special permission to extend is granted, this module is to be completed within 6 months. Temporary suspensions of enrolment are negotiable, however fees for modules which have not been completed are not refundable. All manuals and DVDs are provided, including “Ceremonies and Celebrations”, and will be made available immediately, once the College receives full payment for the module. If the module manuals, books, DVDs and other items are downloaded from our website a discount will apply. Otherwise the items will be sent by post, airmail where necessary. Transferring any material belonging to the College to a third party without prior permission is unethical and strictly forbidden.